The Super Bowl has become a bona fide American holiday, with over 103 million people tuning into last year's Eagles victory. That's not the only noteworthy statistic, though. Taking a deeper look into the NRF's annual Spending Survey, which measures how people plan to celebrate the biggest drinking day of the year, the numbers are quite staggering. If you own or operate a bar, what's the underlying message here? It's imperative that you and your staff are properly prepared across the board, from generating pre-event buzz to ensuring things run smoothly on gameday. Follow these specific tips from NightPro, and you will be the one scoring a touchdown this Super Bowl Sunday. An event like the Super Bowl is an opportunity to up your food and drink game. Get innovative, and make it stand out by incorporating the theme of football into your bar's menu. Need a few ideas? When all else fails, keep it simple by sticking to everyone's favorites! Big or small, given to many people or just one, you don't have to dedicate much of your budget in order to captivate your guests with goodies. Plus, you can include this in your event's marketing campaign to further incentivize people to come. 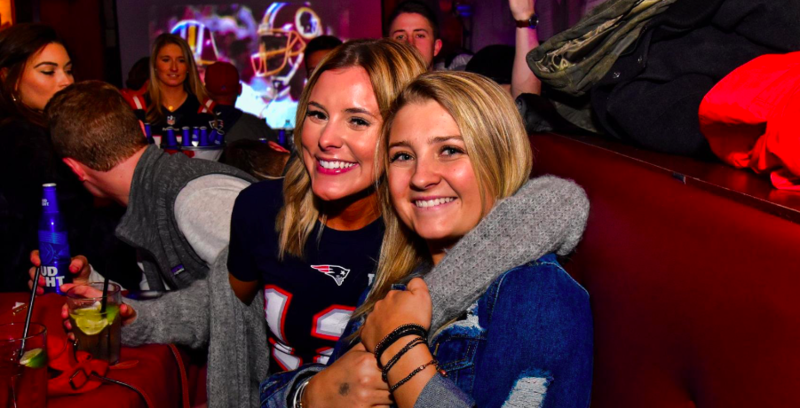 Appealing to the masses on this day is key because, believe it or not, not everyone in your bar will actually be interested in watching the Super Bowl. Provided you have space for it, consider including interactive games. The non-football fans will be thanking you later! The fun doesn't end when the game does! Hosting an after-party is perfect for guests who either want to celebrate the big win or want to drink their sorrows away after the tough loss. You'll also attract more people to your bar this way – ones who weren't necessarily there for the game but are looking for a postgame spot. Hire a DJ, crank a killer playlist, and you'll see revenue rising all the way into Monday morning. First thing's first: running out of beer, liquor, or food simply isn't an option. Stock up! You shouldn't just have more staff members on the clock that day; you should also ensure that they're fully trained and equipped to handle the masses – particularly the bartenders. Have them freshen up on NightPro's previous blog post explaining nine simple ways to become the ultimate bartender. Don't forget the decorations! If you're in L.A. or New England, theme parties are the way to go. Otherwise, keep it generic so you can attract fans of both teams. Balloons, streamers, party hats, party blowers – there's no such thing as too much when it comes to the Super Bowl. Lastly, technology can be your best friend. Apps like Partender will help you quickly and accurately keep track of full bar inventory, place your orders, track your usage, and calculate your cost of goods sold, while venue management software companies like NightPro will help you easily keep track of reservations, inventory, staff, and pricing in real time. The Super Bowl might be in just over a week, but it's not too late to blast your event through ads in your local newspaper, a strong social media presence that includes creating a Facebook event page, and creative email marketing, perhaps featuring a discount or promotion. When posting, be wary that a generic flyer doesn't always build excitement or anticipation. Instead, tease a preview of what's to come in the form of your specialty food and drink items, your decorations, or your Super Bowl giveaways. In addition, be sure to keep your website up-to-date. Many of our NightPro clients are currently using our software to sell tickets, tables, and packages on their own site through an interactive map widget. Once you're on board with us, setting this up is a breeze and, in just a few minutes, you'll be able to start seeing an increase in sales. You now have the top tips to beat out the competition next weekend, so go get started – by signing on with NightPro, the nightlife industry's leading online reservations and venue management app. To schedule a quick, free demo with us and get all of your questions answered, fill out this form, visit our website, or send us an email at hello@tablelist.com. We'll be on the lookout for your message so you can get started immediately!